While our roots date back to 1947, the South Carolina Restaurant and lodging Association was formed in 2012 when the South Carolina Hotel & Motel Association and the South Carolina Restaurant Association merged into a single organization. SCRLA is a statewide, non-partisan trade organization. Our mission is to promote, protect and educate the foodservice and lodging industries of the state and to ensure positive business growth for our members. SCRLA strives to represent the best interest of its members on small business issues, hospitality and tourism concerns and towards the protection of South Carolina’s quality of life. Strengthen the organization that aggressively represents the interests of the South Carolina foodservice and lodging industry by offering the best government and public relations program, member benefits, education, and information services. Provide superior value and effective communication by being the voice of the foodservice and lodging industry in government and public relations, educational programs, offering operational benefits, and creating opportunities for member involvement. 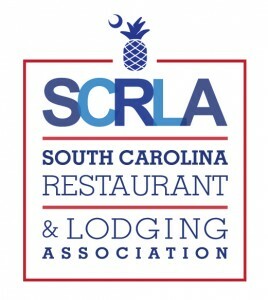 The South Carolina Restaurant and Lodging Association represents over 1,300 member restaurant and lodging companies and industry-related services providers. It is these members that help make the hospitality industry South Carolina’s largest employer and one of the state’s most politically active and public service oriented industries. Our members are the cornerstone of the South Carolina community and economy.